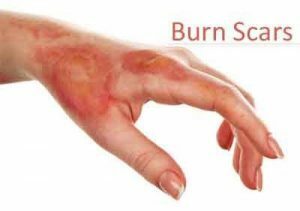 New York : Researchers have developed a new non-invasive method to prevent scarring caused by burn injuries. “People don’t die from scars, but they do suffer from them,” said lead researcher Alexander Golberg from Tel Aviv University in Israel. “We believe that the technology we developed, called partial irreversible electroporation (pIRE), can be used to prevent debilitating burn scars from forming,” Golberg noted. The non-invasive pIRE technique harnesses microsecond-pulsed, high-voltage, non-thermal electric fields to control the body’s natural response to trauma the proliferation of collagen cells that cause permanent scarring at the site of injury. The technique partially destroys cells in the wound with short, pulsed electric fields that cause irreversible damage to the collagen cells. But the researchers had to find a delicate balance so that the technique did not create a new wound or “overheal” the existing wound, because scarring is the body’s natural way of healing. The researchers treated burn injuries in rats in five therapy sessions over six months, then assessed them using an imaging technique developed by researchers at Massachusetts General hospital in the US. The researchers found almost 58 per cent reduction of the scar area in comparison with untreated scars. “We have found a way to partially prevent scar formation in animal models. Next we need to raise funding to develop a device for the clinical study on humans,” Golberg said.